This piece of original art is currently for sale. For more information, please contact here. Phil Lynott (20 August 1949 – 4 January 1986) was an Irish musician, bassist, singer and songwriter and founding member of the legendary super band Thin Lizzy. Growing up in Dublin in the 1960s, Lynott fronted several bands as a lead vocalist, most notably Skid Row alongside Gary Moore. Towards the end of 1969, Lynott and drummer Brian Downey were introduced to guitarist Eric Bell via founding member of Them, keyboardist Eric Wrixon. Deciding that Bell was a better guitarist, and with Lynott now confident enough to play bass himself in a band, the four of them formed Thin Lizzy. Thin Lizzy’s first top ten hit was in 1973, with a rock version of the traditional Irish song “Whiskey in the Jar”, featuring a cover by Irish artist and friend, Jim Fitzpatrick. However, follow up singles failed to chart, and after the departure of Bell, quickly followed by replacement Moore, and Downey, led Thin Lizzy to near collapse in mid 1974. It was not until the recruitment of guitarists Scott Gorham and Brian Robertson, and the release of Jailbreak in 1976, that Thin Lizzy became international superstars on the strength of the album’s biggest hit, “The Boys Are Back in Town”, and other great songs as “Jailbreak”, Cowboy Song” and “Emerald”. Having finally achieved mainstream success, Thin Lizzy embarked on several consecutive world tours. The band continued on Jailbreak’s success with the release of a string of hit albums, including Johnny The Fox (1976), Bad Reputation (1977), Black Rose: A Rock Legend(1979), and the live album Live and Dangerous (1978), which features Lynott in the foreground on the cover. However, the band was suffering from personnel changes, with Robertson being replaced temporarily by Moore in 1976, and then permanently the following year. 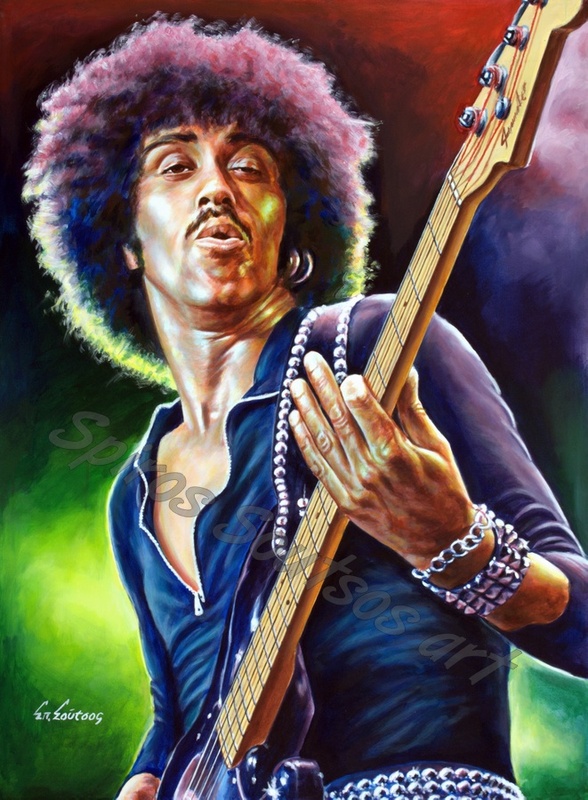 Towards the end of the 1970s, Lynott also embarked upon a solo career, published two books of poetry, and after Thin Lizzy disbanded, he assembled and fronted the band Grand Slam, of which he was the leader until it folded in 1985. He subsequently had major UK success with Gary Moore with the song “Out in the Fields“, followed by the minor hit “Nineteen”, before his death on 4 January 1986. He remains a popular figure in the rock world, and in 2005, a statue to his memory was erected in Dublin.